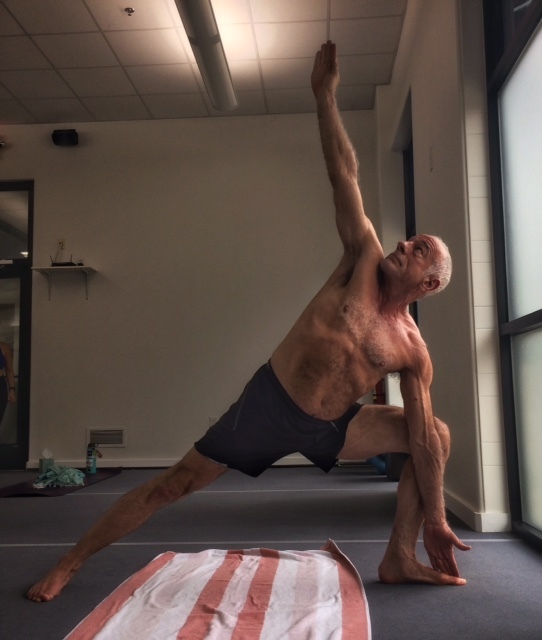 Student Spotlight – Tom B.
I was introduced to Bikram Yoga about 12 years ago. I saw a friend and recently retired Dell coworker after a period of about 6 months. He had changed. He was slimmer, moved with more poise and seemed relaxed. Retiring from Dell can do some of that, but these changes were just too remarkable; so I inquired. “Hot Yoga, right here in Davenport” he said. So I had to try it. I met Mardy at the original studio on Capital of Texas Highway, and signed up for a trial with many reservations in mind. I had done very little yoga, was not flexible, was overweight, and had little idea of what to expect. But I was interested in the idea of changing fast. My friend had done it. Maybe in 6 months I could be so changed. As it seems for most of us, my first experience was intense. I went from wondering if I could stay in the room and breathe, to feeling the pleasure of some wonderful stretches. It seemed like more than 90 minutes! I wondered if I would do it a second time, partly because it seemed like a big time commitment. But I asked myself what else can I do in 90 minutes to get the balance, cardio, breath, strength, detox and flexibility work done at the same time? So I returned again, and again and again. It took me the better part of 6 months to be able to sit on my heels, or to grab my heels standing. But by then I had slimmed, felt better in my own skin, and had become a committed regular practitioner. I did challenges and that led me to more completely enjoy the community. It built on the support we provide each other. One year, for the challenge I decided to try the intense schedule of teachers training: 11 sessions a week, which I did for 10 weeks. That’s a lot of doubles! I think I was more fit after that than I have been since my twenties, it was incredible. And it nearly completely sated my desire to do doubles. It is now twelve years later, and the practice has become part of my routine. I am convinced it keeps me younger, slimmer, more flexible, stronger and better balanced than I would be. And I love the teachers and the community at my studio (Austin North) – so positive everyone. I believe continued practice will let me enjoy an active and happy life longer and better. So while I got into hot yoga to change fast, I am happy where I am. I stay now for the people and for myself to change slowly. 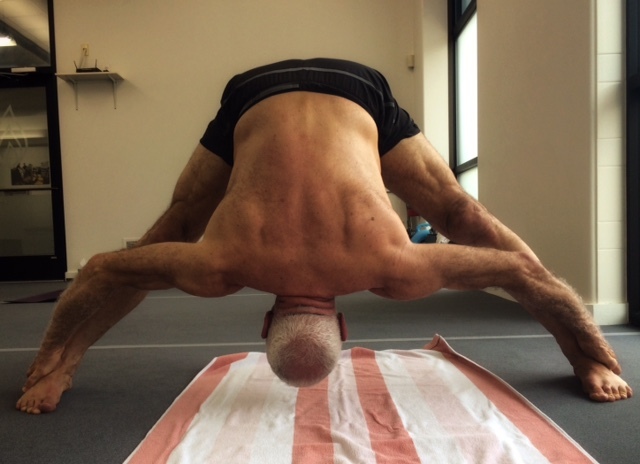 I’m honored to be one of your yoga teachers Tom and enjoyed reading the back story. You bring a smile to my face every time you walk through the door! Your dedication to this practice is remarkable! I love reading people’s stories with yoga. Thanks for sharing Tom. You’re an inspiration, Tom…..for folks of all ages! This is amazing! Thanks for sharing Tom. I love that Bikram yoga can be so many things for so many people. And I love your perspective of the time commitment it takes: it’s worth it b/c of all of the things you get out of it. So great. Hope to see you soon & that your story now reaches another person that can get as much from it as you do! T as in TOM! Such an inspiration. Always love seeing your smiling happy face.